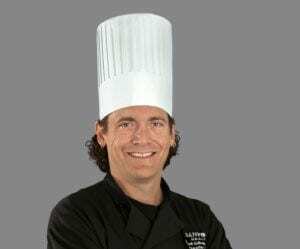 Lloyd has more than 25 years of culinary production experience and is a certified executive chef and approved culinary examiner. For the past six years, he has worked for Sanford Medical Centers Fargo as their executive chef. Lloyd has more than 25 years of culinary production experience. He has worked for corporate chain restaurants, hotels, country clubs and event centers. Through the American Culinary Federation, Lloyd is a certified executive chef and approved culinary examiner. For the past six years, he has worked for Sanford Medical Centers Fargo as their executive chef. 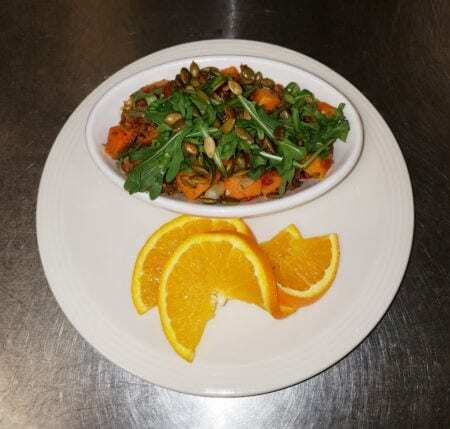 Right now we are coming to the end of our fall/winter menu cycle where we used many earthy flavors like root vegetables, sweet potatoes and wild mushrooms. Getting ready for spring, we will be doing strawberry salads, light vinaigrettes, charbroiled proteins and summer fruit pies. We work closely with our vendors to stay on top of new products and the trade journals give us some great recipes. By far, we get the most ideas from our staff, who love to play around with different flavors. How do you get your inspiration for new item? It can come from anywhere, really. Sometimes it is a new twist on an old idea or a new interesting ingredient or maybe reading about a cooking technique I have not used in a while. I find an ingredient or something interesting, then I put in the back of my mind and the idea seems to grow. Here at Sanford Medical Centers Fargo, we have an entire nutritional philosophy as it relates to building our retail menu. I have attached a copy of the philosophy for your review. The nutritional integrity of our food is vital important to the wellbeing of our patients, families and staff. I think transparency and local sourcing are here to stay but as far as an actual edible trend, I am excited that fermenting and pickling are becoming mainstream. Plant based proteins are becoming more and more popular. We are currently working to add more plant based center of the plate items to our menu in the near future. We buy all of our produce from a company that does their best to source local to them. We also get our bison and some of our grains from local farms. Describe briefly your recipe selection, favorite part, why did you select it? We like to say our target group is from infant to 80 years old. We try to have a variety of comfort foods available for staff as well those who may be here visiting a family member or patient. We use seasonal menus in our micro-restaurants. These menus are constantly being updated to reflect new items or new trends. In addition, in our Fresh Market concept, we also do flatbread pizzas, soups, sandwiches and salads that rotate every day. Spicy Bison Sweet Potato SkilletHealthy never tasted so good! This unique, Native American inspired dish combines just the right amount of fresh vegetables, lean meat, and a touch of heat to satisfy even the most demanding palate. 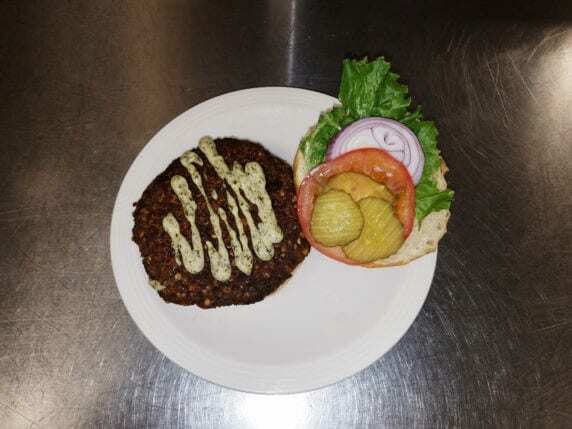 Mediterranean Lentil PattyLooking for a healthy burger alternative? Look no further, Chef Galloway has got you covered! This delicious, healthy patty is based on that most versatile of legumes: The lentil. Be sure to make enough though - the crisp texture, savory flavors and touch of spice is sure to have your diners asking for seconds!